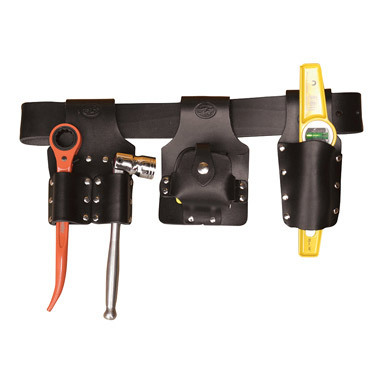 Scaffolding tool belt set - 4 piece. Hand-made in the UK from 4mm-thick, premium UK black leather. Strong and durable - guaranteed against manufacturing defects or faulty materials.